Summer wouldn’t be summer without a BBQ. This one is easy, fast and yummy. My kids (even the teenagers) love this burger. I use half a pound of meat per burger so that they are filling. Hope you enjoy. 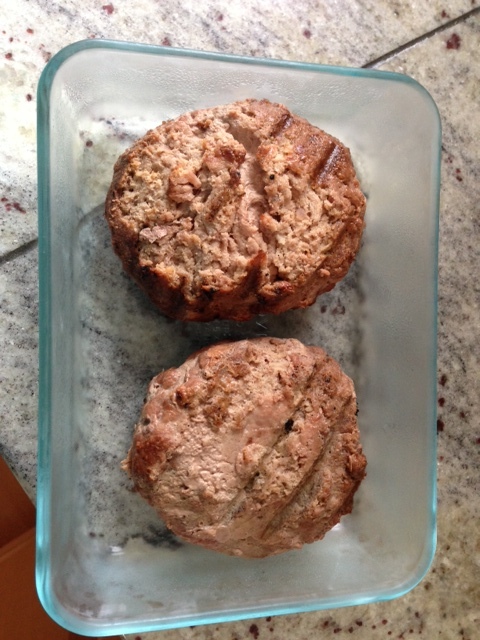 Start by forming the ½ pound ground turkey meat into burgers. I have 5 in the family so I always buy 3 pounds of ground turkey that makes 6 burgers. Then after the burgers are formed I use a large bottle of Tamari (premium gluten-free soy sauce). You can get this at any market. We are gluten-free so I use this but soy sauce will do in a pinch. It’s a little more salty but good. Poor the Tamari sauce over the burgers so that it covers the burger and the bottom of the pan. Then I take a spoon and marinate the burger by pouring what is in the pan on top of the burger. You don’t have to do this but you can once if you have time. If they sit in the pan for a few minutes the bottom will soak and get nice and juicy. Next put the burgers on your hot BBQ on the warm setting. Then use the excess sauce in pan and pour on top of the burger while on the grill. This will make them extra juicy. Be sure not to press the burgers while grilling because you lose all the juice. Grill for 6-8 minutes and then turn over. Do the same for side 2 being sure not to over cook because the will become dry. Have all your burger fixings ready and eat!